JNN 08 June 2014 Moscow : Edward Snowden’s recent revelation that the NSA can bug cell phones even when they are turned off left some experts split on whether it is true or not. But a group of hackers claim that at least there is a way to protect your phone from spies’ ears. Snowden, who exposed the American government’s secret mass surveillance program, has been making headlines in the media for almost a year with shocking details about the scale of snooping by the National Security Agency (NSA). In last week’s interview with NBC, the former CIA employee yet again added to the spreading privacy panic when he said the NSA can actually eavesdrop on cellphones even when they are turned off. “I would say yes to all of those,” Snowden replied. “They can absolutely turn them on with the power turned off to the device,” he added. 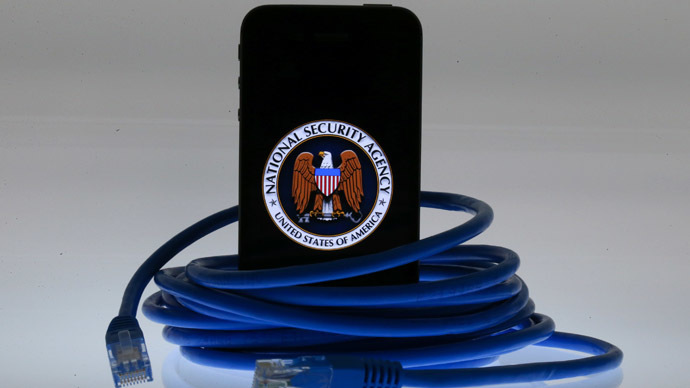 It is not news that American (and possibly not only American) special services have been able to use mobile phones as a spying tool for at least a decade. Back in 2006, media reported that the FBI applied a technique known as a “roving bug” which allowed them to remotely activate a cell phone’s microphone and listen to nearby conversations. Pinpointing a person’s location to within just a few meters has not been a problem either thanks to a tracking device built into mobile phones. This option, a party-spoiler for criminals, has also been helpful in finding people who have gone missing or got into trouble. The general belief has been that removing a battery would make tracking impossible. The agency used it to help American forces in Iraq. Joint Special Operations Command (JSOC) called the method “The Find,” and “it gave them thousands of new targets, including members of a burgeoning al-Qaeda-sponsored insurgency in Iraq,” the paper wrote. It is very likely that the scale of the use of such techniques has grown much bigger and more sophisticated due to SciTech developments. And with millions of people getting addicted to their smartphones – which they carry with them literally everywhere – it is much easier to spy on them. But, according to a piece published in Wired magazine, there is a way to make sure that no one is listening to you. The article, citing security researchers, says that if an attacker had a chance to install malware before the phone is turned off, the software could make it only look like the phone is shutting down. Instead, it “enters a low-power mode that leaves its baseband chip—which controls communication with the carrier—on”. Such “playing dead” state would allow the phone to receive commands, including one to activate its microphone, says Eric McDonald, a hardware engineer in Los Angeles told the news outlet. It also gives practical advice on how to deal with the situation. Whether it works or not – is another question. If you’ve got totally paranoid about your iPhone, you can try to put it into device firmware upgrade (DFU) mode, Eric McDonald, a hardware engineer, told Wired. In this mode, all elements of the phone are shut down except for the USB port which waits for iTunes to install new firmware. To enter the mode, use any power outlet or computer USB port to plug in the iPhone. Then hold the power button for three seconds, after start holding the home button, too. After 10 seconds, release the power button, but not the home button. Wait for another 10-15 seconds. The routine is to send “hardware reset” to the phone’s power management unit that overrides any running software, including any malware designed to fake a shutdown, McDonald says. Now the phone won’t turn on when someone holds the power button or power up when the phone is plugged into a power source and you can leak some NSA secrets to a Glenn Greenwald. But if you decide to make a phone call at some point, you will have to hold the power button and home button together until the Apple logo appears. The video below explains it with the use of a real iPhone. There are easier ways to enter a complete shutdown, according to Wired. You can hold the home and power buttons simultaneously for 10 seconds without the DFU button sequence. This will put the phone in too low level a state for anything to able to interact with its baseband. This entry was posted in Jafria and tagged American government, edward snowden, I phone, mobile phones, Moblle Phones Buged, NSA. Bookmark the permalink.